Antranig Kzirian has always loved music and so it was no surprise that he gravitated to the oud (Middle Eastern lute) as a young Armenian musician from Philadelphia. Along with his brother and two other friends, Antranig formed Aravod, a band that performed traditional Armenian dance music. Aravod was a popular group that would perform throughout the east and Midwest at dances, wedding and other social events. As Antranig moved out to the west coast, he pursued a degree in law and even had a stint with the Armenian National Committee Western Region, but the one thing he never failed to put aside was playing the oud. As a musician, he grew deeper in love with the instrument and sought out teachers, masters in Armenian music that would help guide his studying. Ara Dinkjian and the late John Bilezkjian were a few of his teachers along with kanunist Jack Chalikian. While in California, he joined a rock-fusion band called Viza and has toured with System of a Down’s lead singer, Serj Tankian. nOUD marks Antranig’s newest release and his first solo album. “I wanted to both acknowledge and pay respect to the generations of Armenian oud players that paved the way for the rest of us, and at the same time to breathe new life and re-imagine the instrument in the modern sense based on my understanding and my own particular artistry. I felt like this would be simply and directly symbolized by nOUD, representing a dynamic of newness and contemporary relevance for an already deep, soulful and impactful instrument that has been such a big part of my identity” said Kzirian. His passion speaks volumes for not only his dedication in preserving Armenian folk music, but the respect he has for the instrument and those before him that perfected the art of playing the oud. “The oud and those who interpret the instrument signify the immutable and central function of the instrument in Armenian identity – from the role played by Armenians in the arts during the Ottoman period, all the way through the American Armenian experience of oud playing that thrived and expanded so greatly in the post-genocide era”. nOUD is an important recording for Antranig for many reasons. “My goal was to provide a blend of modern versions of classics, while simultaneously featuring some of my original compositions. In fact, I’m looking forward to more future recordings which will feature more and more original music, as I have over 100 original compositions in finished or near completed status. This record is only the beginning”. 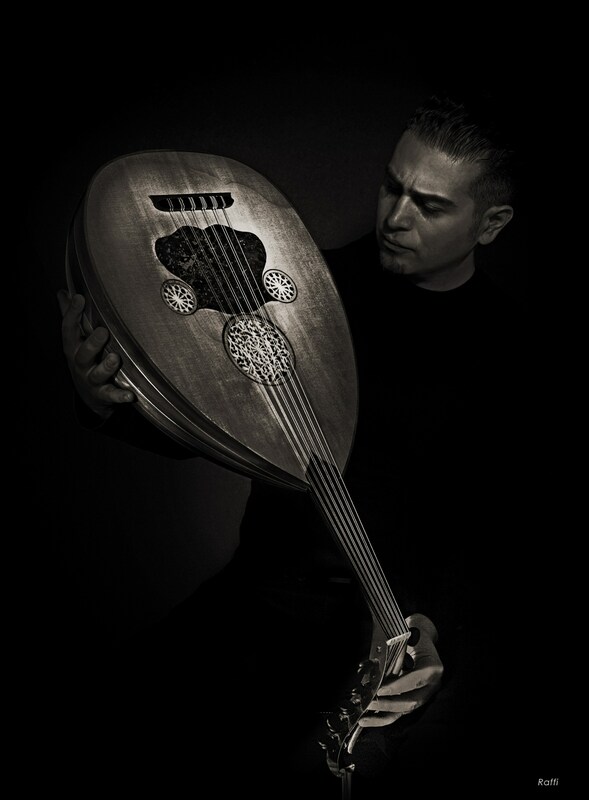 Through the samples, the tonality and compositions on nOUD are complimentary to the style of two late great oud players, George Mgrdichigan and John Bilezikjian. This is a great solo recording by Antranig and we look forward to more of his compositions to be released. Pre-orders for nOUD will be available beginning November 1, 2017 on www.theoudplayer.com. Those who pre-order the record will also receive a special link to free bonus download material that will be available exclusively in digital format shortly after the official album release. A full release of nOUD will be on November 12, 2017 in digital format and also as a hard copy CD featuring detailed liner notes incorporating archival artist research provided by Ara Dinkjian, alongside Antranig’s own contextual descriptive narratives of each track. 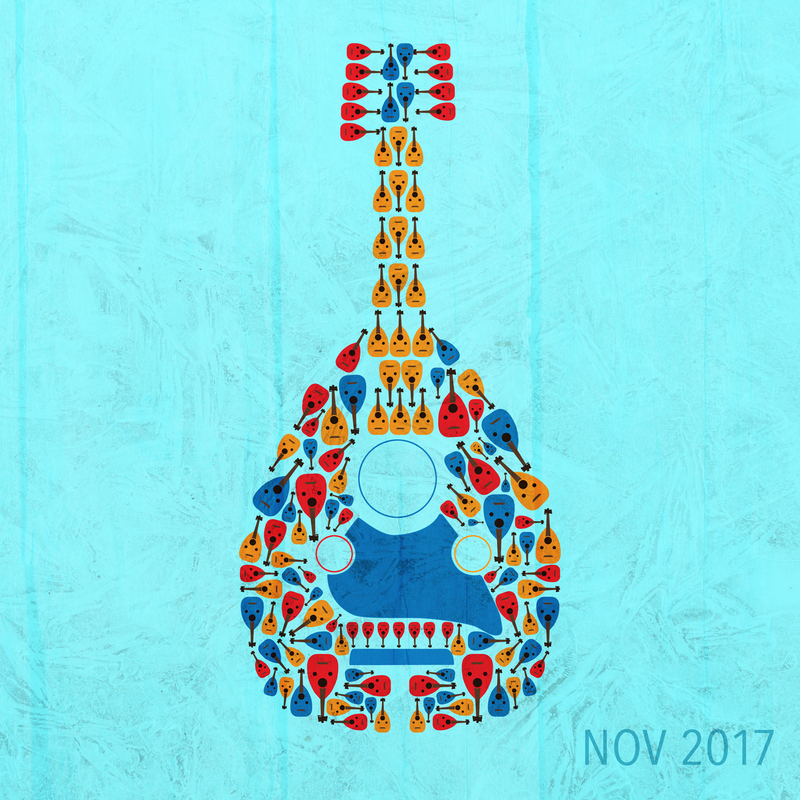 Both digital and hard copy releases shall be accompanied by unique, track specific artwork created by graphic designer Simon Majarian depicting a visual interpretation of his oud playing. To hear samples from the upcoming nOUD album, please click here. To learn more about this project and Antranig as a musician, click here. This entry was posted in Armenian, art, music and tagged Armenian, Bilezikjian, mgrdichian, music, nOUD, oud, solo. Bookmark the permalink.